Carbohydrates get a bad rap, and nearly every fad diet makes them the enemy. But the truth is, your body would have a tough time carrying out daily functions without carbohydrate. Carbohydrates are the fuel that keeps the engine of your body running, and are the primary source of fuel for your brain and red blood cells. True, your body uses fat for fuel, too. But it’s been said that “fats burn in a carbohydrate flame” – which means that in order for fats to be broken down completely and provide energy, carbohydrate breakdown has to happen simultaneously. That can only happen when there is enough carbohydrate in the diet. The reason carbs have gotten a bad reputation is because many people associate them with starchy, refined carbohydrate-rich foods like white rice, pasta, white bread and sweets which aren’t particularly nutrient-rich. But there are plenty of good-for-you sources of carbohydrate – and they provide an abundance of vitamins, minerals, fiber and phytonutrients. So, if you follow a very low-carb diet, you may be missing these important nutrients which can help you stay healthy. The healthiest sources of carbohydrates are foods that are generally the least processed (which means they retain their fiber and nutrients) — think fruit, vegetables, dairy, beans and whole grains. On the other hand, it’s best to limit your intake of highly processed carbs and sugars such as baked goods, soda, sugary treats, white rice, and white-flour cereals, pastas and crackers. These foods tend to spike your blood sugar levels, but don’t offer the “staying power” of the healthier carbs. And, they tend to lack the beneficial vitamins, minerals, phytonutrients and fiber, so they don’t offer a lot in the way of nutrition. Sugar is a carbohydrate, and it’s wise to limit added sugars in the diet – like table sugar, honey, syrups and the like. But foods that naturally contain fruit are another story. When people decide to avoid eating fruit because they believe it to be “full of sugar”, they’re way off base. 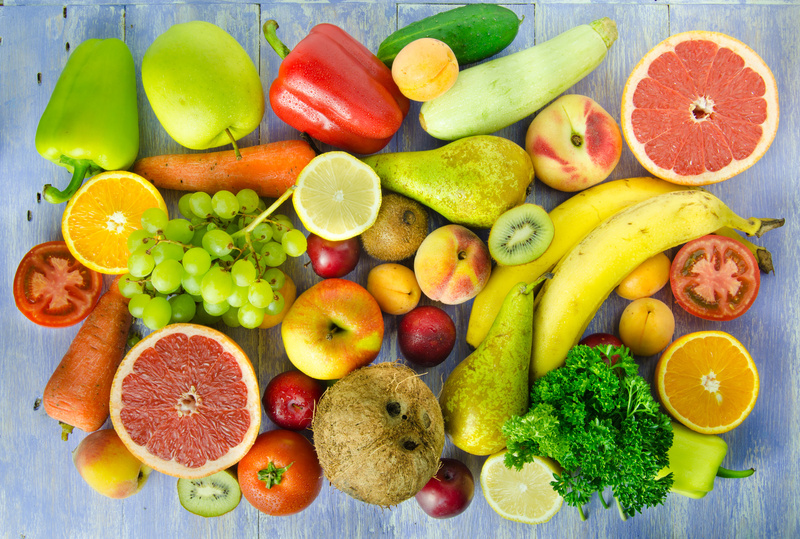 Fruit is one of the healthiest treats you can eat, and it contains a lot more than sugar. To put it in perspective: A 50-calorie orange contains about 12 grams, or three teaspoons, of natural sugar, as well as three grams of fiber, 100% of the recommended daily amount of vitamin C, healthy antioxidants, folic acid and potassium. Compare that to a 225-calorie soda that contains 1/3 cup of sugar, and not much else – now that’s what I call “full of sugar”. After the body metabolizes carbohydrates in your food, they enter the bloodstream in the form of glucose, or blood sugar, which provides energy to the cells. Glucose is also stashed away in your liver and muscles for later use, in a form called glycogen. Glycogen serves as a “reserve tank” for fuel – which is why your body might get that “running out of gas” feeling after prolonged activity, especially if you haven’t eaten enough carbs ahead of time. Ever eat a donut for breakfast only to be starving an hour later? That’s because donuts are packed with sugar, refined flour and few other nutrients. When you eat these refined carbs, you get a quick hit of energy, followed by a steep drop, which often creates a craving for more sugary foods and empty calories to bring your blood sugar back up. On the other hand, healthy carbohydrates – like vegetables, whole fruits, beans, and 100% whole grain foods have more staying power. They take longer to digest – which means you’ll avoid those rapid rises and fall in your blood sugar. And, they retain their fiber which makes them more filling and helps keep your hunger satisfied. Instead of white rice and potatoes, try brown rice or other whole grains like cracked wheat, barley, millet or quinoa. Instead of regular pasta, substitute whole grain pasta, beans, lentils or sweet potatoes. Instead of drinking fruit juice, eat whole fresh fruit. Instead of refined white breads, crackers, cereals and snack foods, eat 100% whole-grain versions instead.